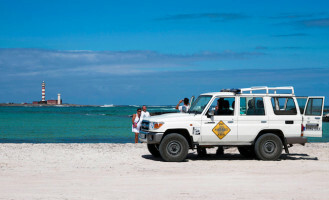 There is no better way to get to know the south of the island than with our 4x4 vehicles, as they allow us to alternate the narrow asphalt roads with dirt tracks. 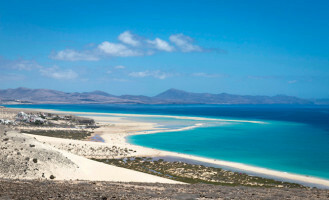 our 4x4 vehicles will drive us during this day through the Natural Park of the Jandía Peninsula and the wonderful Cofete Beach, considered the most beautiful in Spain. 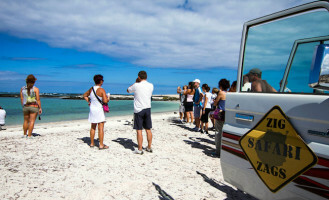 The landscape of this area of ​​the Canary Islands is unique and very difficult to explain, you have to see it and live it to believe it. In addition, at noon and in the small restaurant El Caletón, on a terrace and overlooking the sea, we will enjoy an excellent "paella" and other typical dishes of the island, potatoes with mojo, salad, bread, wine and fruit. 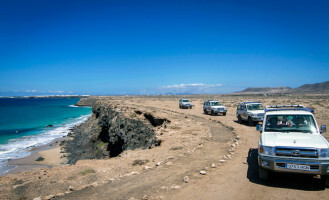 If you are on vacation in the south of Fuerteventura, the Jeep & Beach Cofete is not to be missed. LUNCH WITH BEVERAGES INCLUDED IN THE PRICE ! !